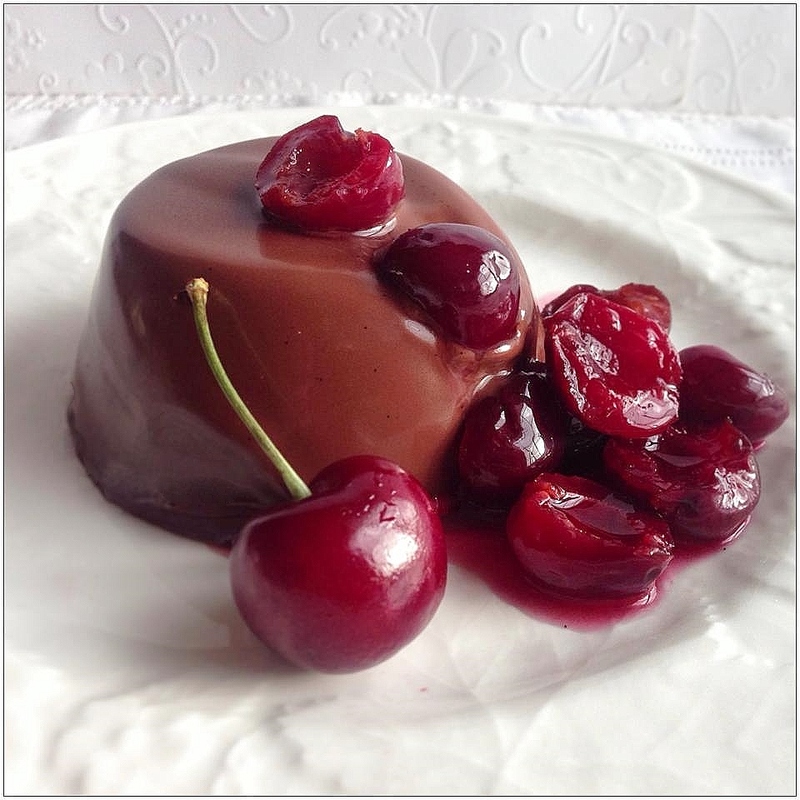 Chocolate panna cotta with cherry compote - home cooked food delivered. A great combination of a velvety chocolate panna cotta complimented beautifully with a cherry compote. A stunning dessert for entertaining guests. Gelatin, golden caster sugar, double cream (MILK), vanilla paste, 70% chocolate (MILK), cherries. Ready to eat!!. If you wish to turn them out and pretend you made them, loosen around the edges of the panna cotta, sit in a little hot water for a few seconds and turn out onto a plate. Be patient it will come out. Drizzle with compote.